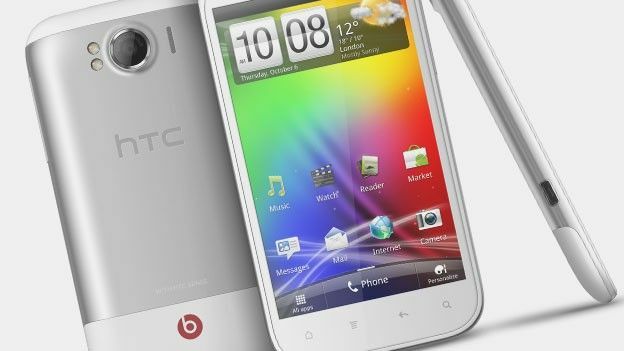 HTC has officially unveiled its first all new handset to land sporting Beats by Dr. Dre audio technology as the HTC Sensation XL is launched as a 4.7-inch Android device. Following on from the HTC Sensation XE, the first Beats device, the Taiwanese handset manufacturer has returned with another high-end handset set to further the Android OS and premium audio smartphone market. Alongside the handset's hefty 4.7-inch 800 x 480p WVGA display, the Sensation XL will play host to a 1.5GHz Qualcomm single core processor backed up by 768MB of RAM and 16GB of internal storage. On the multimedia front the newly unveiled HTC Sensation XL is to boast an 8-megapixel rear-mounted camera with a low light specialising wide angle f/2.2 28mm lens alongside dual LED flash. A second 1.3-megapixel snapper can be found round the front whilst 720p HD video recording capabilities are bolstered by stereo audio. Packing a high-end audio punch the Sensation XL benefits from fully attuned Beats audio technology and will come boxed with a pair of in-ear Beats headphones. Carphone Warehouse is the first out of the hat to announce that it will be stocking the HTC Sensation XL and the handset will be available to buy from November 2nd.